The long waited Palm Treo 800w has finally unveiled by Palm Inc. Palm Treo 800w is the first major new model from Palm Inc since The Centro, a smaller version of its flagship Treo, was introduced last year. The introduction of Palm Treo 800w is significant to Palm Inc to regain its leading position in smart phones market. The new Palm Treo800w has made substantial improvements in term of its functionality. 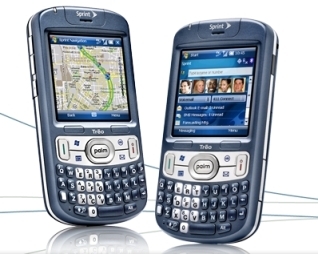 Palm Treo 800w has added GPS navigation and Wi-Fi function. Users can enjoy the direction guidance via the GPS navigation system with a sharper screen resolution display in Treo 800w. Users can also enjoy the Wi-Fi service by simply touch a button. Palm Treo800w has a hardware button that can easily turns on its Wi-Fi circuitry and triggers the search for an 802.11b/g access point. Palm Treo 800w measures 0.7 inches thickness and features 320 by 320 touch screen display. It operates under Microsoft’s Windows Mobile software. This newly released smart phone is the first Treo which can connect to Wi-Fi hotspots. It targets mainly on corporate clients and businessmen. Read more on product spec.